Gardening can be an expensive hobby, an inexpensive way to produce top quality food, or an inexpensive form of both. It depends on how you get your resources. Look for cheap or free garden supplies. There are many ways to save a ton of dough on the things you need to make a great garden! 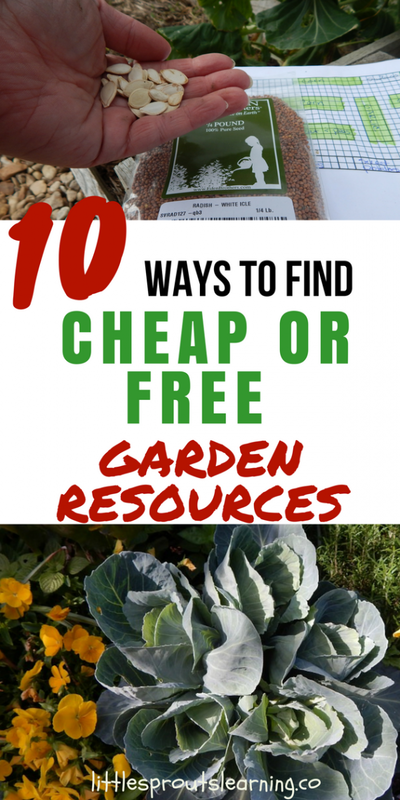 Finding Cheap or Free Garden Resources! Saving your own seeds to use the following year is a great way to cut back on the gardening budget. 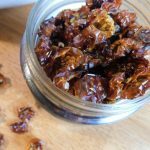 There are some other benefits to saving seeds as well. 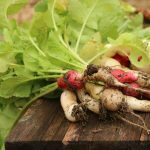 One benefit is you have your own garden resources, but those seeds are also conditioned for your climate and may grow better for you than the ones from the previous year. The plants that survived the previous season were the ones most suited for your climate. When they produced seeds at the end of the season, they did so with the best make up for growing in your area. Click here to see how to save your own seeds. You can take the seeds you have saved and share them with friends and neighbors. 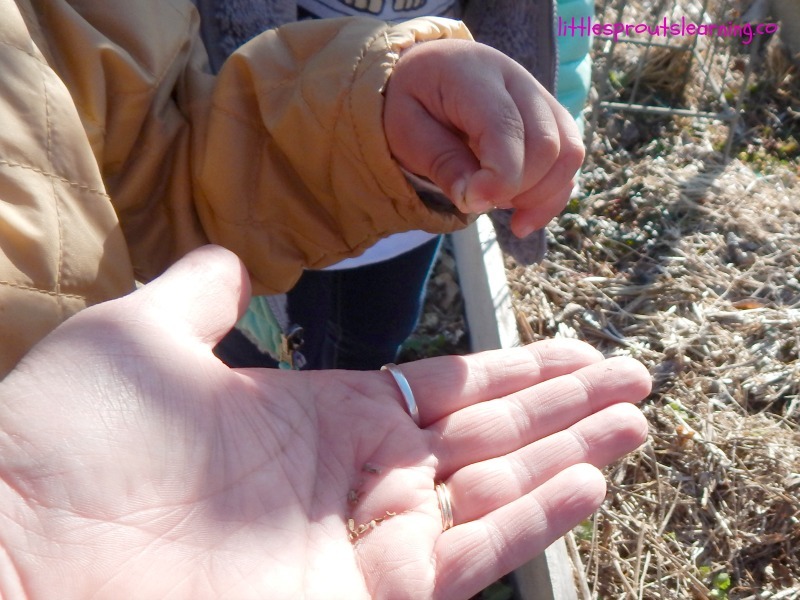 They can share their seeds with you and you will have a much bigger variety of garden resources. My grandma was always getting seeds and starts everywhere she went. She was a fantastic grower, but a big reason for that is she tried to grow a LOT of things. She was also always giving starts and seeds away. I still have a plant she gave me a start from. It’s one of my most prized possessions. Click here to see another great free resource for the garden. Seeds can be collected from annuals, biannuals, perennials, and all kinds of plants. A peach pit can be planted to make a new peach tree. Seed heads form on many types of plants at the end of the season. People used to share their garden resources and pool them together for the best outcome for everyone. Try sharing with some of your friends and neighbors. Mulch blocks out weeds and keeps in moisture. A great garden resource is mulch. There are so many things you can use for mulch. One is spoiled hay or straw that was used as bedding for animals, then piled up for a year to compost. This is teeming with nutrients, a burden for the person getting rid of it, and still has a great amount of structure to cover your beds. Make sure you don’t use any type of fresh animal waste on your plants, it will burn them. Another great free mulch is wood chips from tree cutting services. These services are looking for ways to dispose of all the wood they chip up. Call around to your local tree trimming places and ask them to drop their load in your yard or driveway. I’ll bet they’ll jump at the chance and its free garden resources for you. 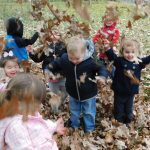 Leaves that you would normally rake out of your yard are a great free garden resource. They can be used to mulch your beds with great results. 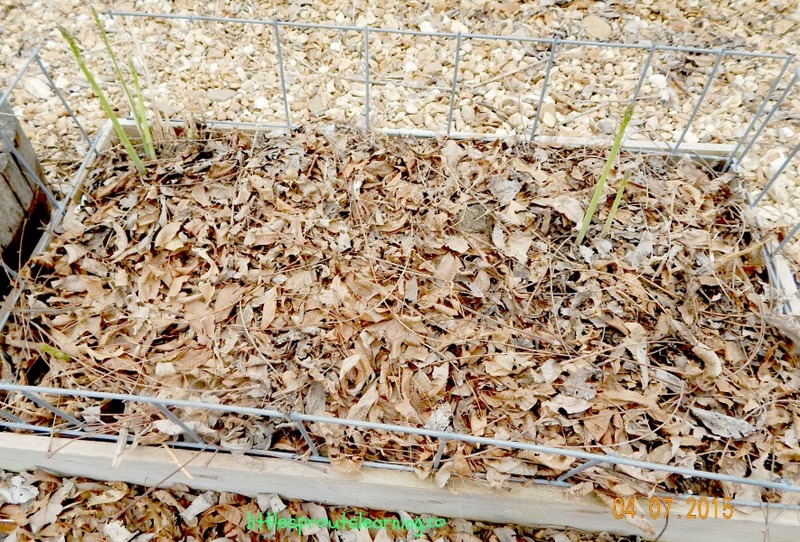 Click here to see more ways to mulch your garden for free. Visiting friends and neighbor’s gardens can be a great way to get free garden resources. If you see a great tree, bush, vine, or plant, see if they mind if you snip a small piece off. Many plants can be propagated by cuttings. Tomato plants, fruit trees, decorative landscaping trees and many other plants can be started again with a small cutting that is placed in water or soil. Bulbs can be dug up, divided, and replanted in two areas for double the growth. Many types of plants can be successfully divided. Garden center or department closeouts are a great place to get super cheap garden resources. Many times, managers will sell seed packets or sad looking plants at the end of the season for next to nothing. Many of these things will be just fine if planted right away and given some tender loving care. Seeds last many years in the packets, depending on what kind of seeds they are. Click here to see how long seeds last in storage. If they are stored properly, most seeds will still germinate the following year they were put out on the store shelves. Leaves are a great source of mulch. They can be used as is, or chopped up with the lawn mower and used for much. We have had wonderful success using the leaves my friends rake up. They offer great protection to our garden beds. If they are full of gumballs or pine needles, all the more variety of nutrients for the garden as the mulch breaks down over time. Gumballs are great for keeping neighborhood cats from digging in your beds as well. Just another tip to help you reach your gardening goals. Another way we use fallen leaves is for compost. Compost needs a certain amount of green matter and a certain amount of carbon or brown matter. Click here to see how to compost. We keep a wagon full of leaves from our friend’s yards next to our composters and every time we throw in a container of compost, we throw in a container of leaves and mix it up. It works like a charm to produce beautiful, dark, rich compost for our garden! Grass clippings can be used as garden resources as well. Be careful to make sure your grass clippings are dried well or they will burn your plants with too much nitrogen. Dried, brown grass clippings, however, are great mulch and compost material. You can still compost with green grass, but it counts as greens instead of browns. Food scraps from your kitchen (from fruits and vegetables only) can be a great garden resource. Save them to toss in the composter and continue to produce compost for the garden. Click here to see how to compost. Manure makes a wonderful resource for the garden. Remember to only use manure that’s properly composted or it will burn your plants. Manure can be mixed into your compost pile or just piled up in a corner of the yard and allowed to decompose over a season. Then it can be spread around your plants. Cow manure, horse manure, chicken manure, and rabbit manure are all great garden resources. Old privacy fencing makes wonderful garden beds. Pallets that are not treated with chemicals, but instead heat can be a wonderful resource to build raised beds out of. Old building materials can be salvaged for building containers to garden in as long as the wood is chemical free. Chemicals can leach into your food supply. Look around for wood people are not using and see if they don’t mind you taking it. Tool trading groups are a wonderful resource for getting the tools you need for the garden without spending money. Many neighborhoods are setting up shared toolsheds where people can go to get supplies they need to work their gardens. You can talk to a few neighbors and see if they might want to start a tool sharing shed where you live. It would be a great resource for everyone! There are even tool lending libraries popping up around different places. What a great idea to make gardening and other projects more affordable. If you think outside of the box and use your creativity, you can find a ton of free or really inexpensive garden resources. When you see a situation that needs supplies, try to think of how you can get it free or cheap first before you lay down a bunch of money on the things you need. You might find you can have a really serious hobby without spending anything at all. Do you have any tips for saving money in the garden? Click here to see more money saving tips for the garden. Of you have a fisherman in the family, after filleting the fish bury the body left overs and watch your plants really grow!!!! Hi All! Just a couple of thoughts to throw in 1) News paper works ok if you do not have too many or big weeds. We use layers or it the weeds are too nasty, we will use cardboard. It’s thicker and lasts a bit longer. We also hang onto our seeds sometimes a bit long. We will float ours before planting. Take the seeds and dump them into a shallow container. 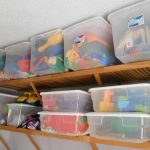 We use the clear plastic storage ones so we can see what’s going on. The ones that sink are still good. The ones that float, throw away. 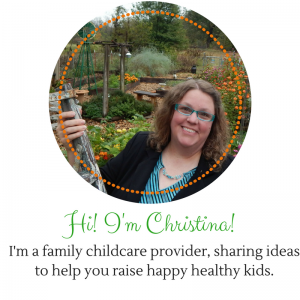 I love your blog Christina! Great ideas and shares! Thank you! Thank you Rachel. Great tips! Using newspaper to line flowerbeds works just as well at blocking weeds as the cloth that you buy in the store. Just cut an “X” in it to plant the flowers and cover with soil. That’s a good tip people can try. Thank you! My Mom always put her used coffee grounds in the soil with her outside plants. Her plants always flourished. I do the same thing with my used coffee grounds….it does wonders with my potted plants. This is super! How long do seeds keep? I have some really old seed packets and some seeds I saved from about 40 years ago! Hi Marjie! It depends on the type of seed and how they were stored. Here’s an article about it. http://littlesproutslearning.co/long-will-seeds-last-storage/ You can always test some to see. 🙂 Thanks for reading! Thanks for some Great ideas !!!! Like the gumball idea ..
Yard sales are a great place to find gardening tools and supplies for next to nothing!